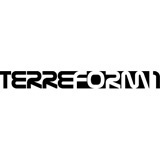 The New York City based non-profit design group, Terreform ONE [Open Network Ecology], promotes smart design in cities, through creative projects and outreach efforts. The office aims to enlighten the public about the changes to our environment and how they will affect both the living in and design of our future cities. Working with people from many disciplines, including scientists, artists, architects, and students, they are trying to explore and advance the larger framework of socio-ecological design. The office uses videos and animations to show both the progress of potential environmental changes, as well as to illustrate their ideas and solutions for the future. Their powerful and often surreal works give us a look into the designs of the future and how we may have to adapt to changing world conditions.